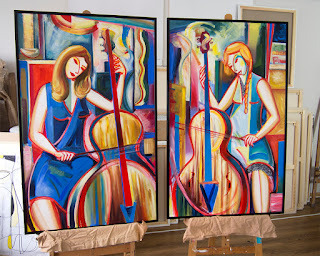 Maciej Cieśla Paintings and Gallery | Abstract and expressive art by European artist. Modern art. : " Cellist " Modern art by Maciej Cieśla, expressive painting, Singulart.
" 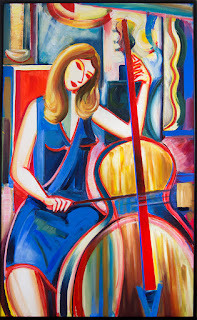 Cellist " Modern art by Maciej Cieśla, expressive painting, Singulart. Expressive diptych, two canvases 130 x 80 cm, from " Cellist " series. 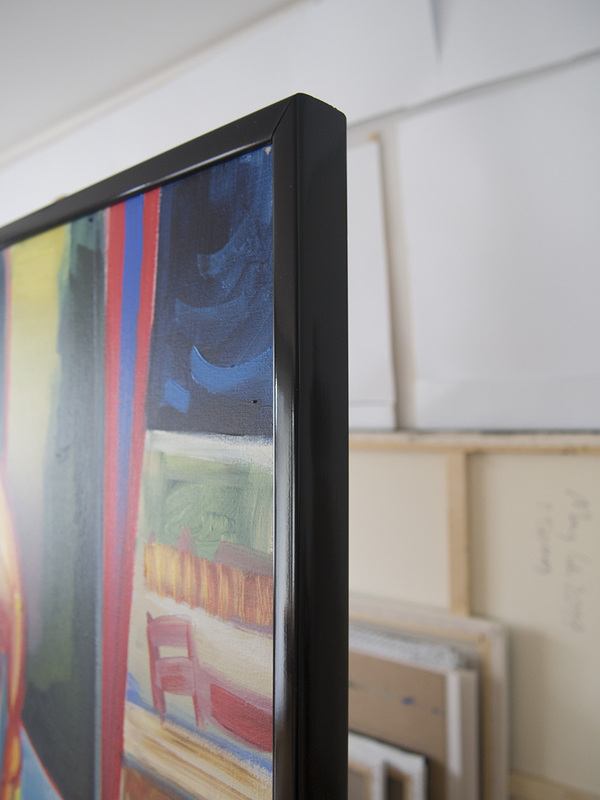 Both framed in black, floating frames. 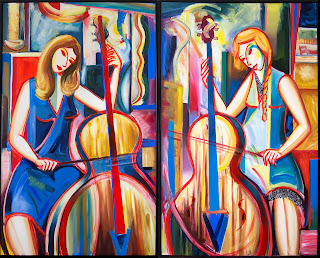 Expressionistische Acrylmalerei, Diptychon, zwei Leinwände 130 x 80 cm, aus der Serie "Cellist". Beide gerahmt in schwarzen Rahmen.